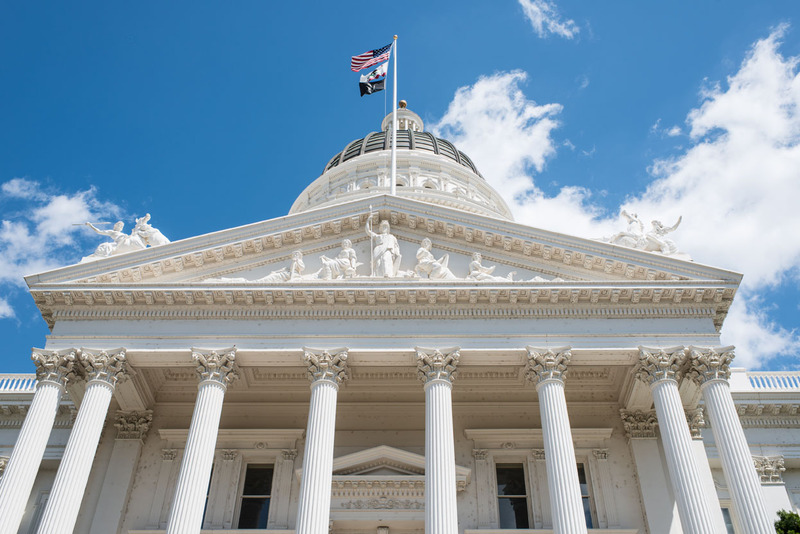 The end of the legislative year is just a few weeks away and the California Chamber of Commerce continues to fight numerous proposals that could hurt employers, the economy and the jobs climate in the state. The scope and potential negative consequences of some of these proposals are immense, touching daily activities in businesses from a wide range of industries and locations. The CalChamber encourages members to contact their legislators to ask them to oppose the bills listed here. Following is a sampling of CalChamber-opposed employment-related bills that legislators are actively considering. AB 168 (Eggman; D-Stockton) Exposure to Litigation. Exposes employers to costly litigation for inquiring into an applicant’s prior salary or failing to provide a pay scale upon demand, even though the employee has not suffered any harm or wage loss as a result of the violation. AB 569 (Gonzalez Fletcher; D-San Diego) Pregnancy Discrimination. Creates a new mandate in the Labor Code, prohibiting employers from taking any adverse employment action against an employee due to the employee’s use of various medical options for reproductive health, even though the Fair Employment and Housing Act currently provides these protections to employees, thereby creating inconsistencies and confusion amongst employers with regard to interpretation and enforcement of these competing provisions. AB 1565 (Thurmond; D-Richmond) Significant Cost Increase on Employers and Costly Litigation. Unnecessarily accelerates the minimum salary threshold for exempt employees, which will significantly increase costs, especially on small employers who currently have a delayed increase under the current minimum wage scheduled increases. AB 1701 (Thurmond; D-Richmond) Expansion of Liability. Unfairly imposes liability onto a direct contractor, as defined, for the wage and hour violations of a subcontractor that the direct contractor did not cause. SB 306 (Hertzberg; D-Van Nuys) Labor Commissioner Enhanced Authority. Unnecessarily allows the Labor Commissioner to seek injunctive relief before completing an investigation and determining retaliation has occurred, as well as requiring an employer to pay the costs and fees of the Labor Commissioner to pursue a civil action for retaliation, even if the claim lacks merit, as well as exposes employers to a daily $100 penalty, capped at $20,000, for a posting violation. AB 1250 (Jones-Sawyer; D-South Los Angeles) Costly County Contractor Process. Imposes a cost to contractors with county contracts, subjects contractor and subcontractor employees’ private information to Public Records Act requests, and seeks to severely limit options for these counties to determine the most appropriate solution to providing efficient and effective public service by establishing significant and costly obstacles for agencies and for vendors contracting for personal services. AB 450 (Chiu; D-San Francisco) Employer Liability. Places employers in a no-win situation between federal immigration enforcement and state enforcement by punishing employers — rather than providing tools and resources for employees when federal immigration enforcement appears at their workplace regardless of whether a violation of law has been committed by the employer. AB 978 (Limón; D-Goleta) Access to Employer Records. Inappropriately allows organizations unaffiliated with the employer to access an undefined and potentially unlimited scope of employer internal documents and circumvents the rulemaking process now underway to provide for access by employees to their employer’s Injury and Illness Prevention Program (IIPP). SB 772 (Leyva; D-Chino) Increased Cal/OSHA Costs on Employers. Blatant attempt to impose excessive costs on employers without transparency and without consideration of alternative methods for Cal/OSHA regulations to meet policy objectives, by exemption from major regulation statutory requirements for economic analysis of the most costly regulations. AB 570 (Gonzalez Fletcher; D-San Diego) Apportionment to Pre-existing Disability. Violates the fundamental agreement between worker and employers by requiring employers to compensate injured workers for disability that has not, with medical certainty, resulted from a workplace injury.